Most of our moves from FSB to FSB and the movement of supplies from base camp to the fire base were done by convoy on inadequate local roads. 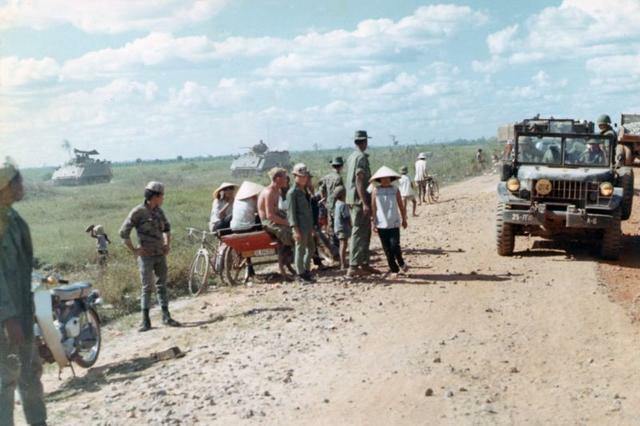 Trips involved a single vehicle to many large trucks guarded by tanks and Armored Personnel Carrier’s. Convoy was a mix of fear and excitement, fear of ambush ran high so we should be on high alert at all time. Roadside vendors and prostitutes created excitement that dulled fear. As the convoy traveled from urban to rural areas fear increased and the number of vendors decreased.